World Heritage Site protection for some of the most magnificent wild forests on Earth is under direct threat, not from a civil conflict or an environmental catastrophe, but from the deliberate action of a national government. It was only a year ago, at the last meeting of the World Heritage Committee in Cambodia, that the committee unanimously approved the addition of 170,000 hectares of forests to the Tasmanian Wilderness World Heritage Site. This momentous decision came after years of requests by the World Heritage Committee and the IUCN to address the controversial exclusion of tall forests from the existing World Heritage Site. The decision was supported by both environmental organisations and timber industry representatives after years of fighting over the controversial logging of Tasmania’s native forests. But apparently a year is simply too long for a forest to remain a World Heritage Site. In January this year, the newly elected conservative Australian government, against the wishes of environmental and industry representatives, submitted a proposal to the World Heritage Committee to remove areas of Tasmania’s forest from the list of World Heritage Sites. Despite Australia having one of the worst extinction records on earth, newly elected Prime Minister recently told a logging industry function that Australia has “quite enough national parks” and “too much locked up forests”. Despite Tasmania’s forests satisfying all four natural Outstanding Universal Values World Heritage Site criteria, the new government wants to remove World Heritage protection and open the forests to logging and woodchipping companies. This retrograde attempt to undermine a World Heritage Site is an appalling slap in the face to global conservation efforts to preserve special places on the planet. It is pure political pandering at the local level that betrays international cooperation on the global stage. Europe should not indifferent to this development, since the effects of logging the forest will be felt here as well. A World Heritage Site bears that distinction, since it is important for human mankind globally not just regionally. Environmental organisations strongly encourage the 21 member nations of the World Heritage Committee to reject outright the Australian government proposal to excise forests from the Tasmanian Wilderness World Heritage Site. 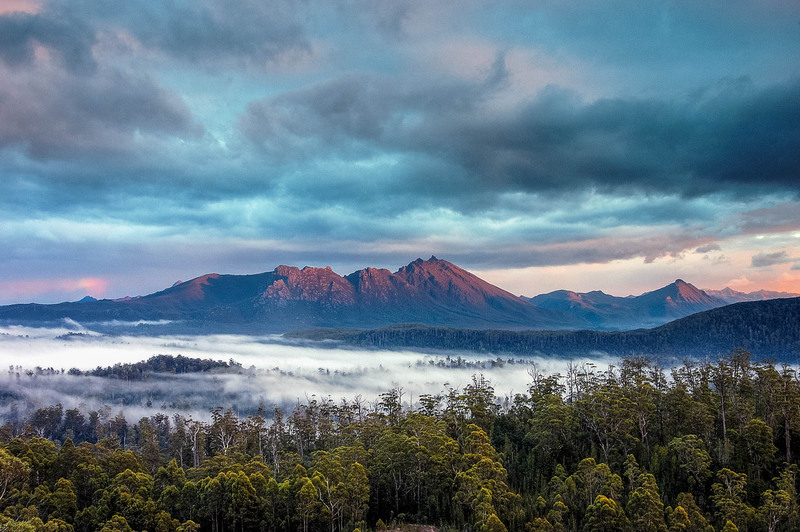 This photo shows the Florentine Valley in Tasmania, one of the areas the Abbott government is attempting to remove from the list of World Heritage Sites. Oh my. We need to be ever vigelent. Is there an action we can take? A letter or fax that we can send?